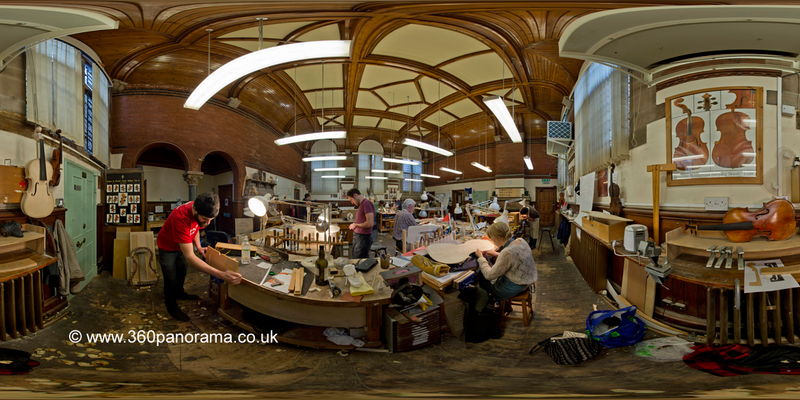 Take a look at the students and staff at the internationally renowned Newark School of violin making. 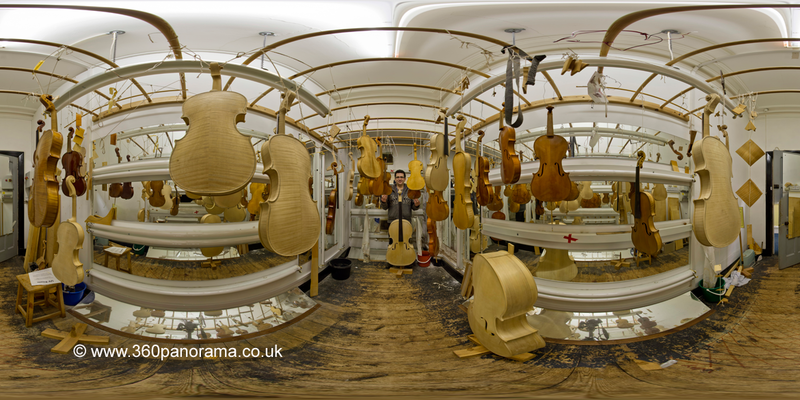 This wonderful place provides a wide range of practical instrument making skills for violin, viola and cello. It also teaches professional techniques for the repair and restoration of stringed instruments covering the main requirements of the violin trade, they even know how to repair your bow. The ambiance and atmosphere in this wonderful building takes you back in time. Students learn skills that are as much in demand today as they were 300 or 400 years ago and travel from all over the world to study in Nottinghamshire. There is a rich and diverse range of experience, age and culture. 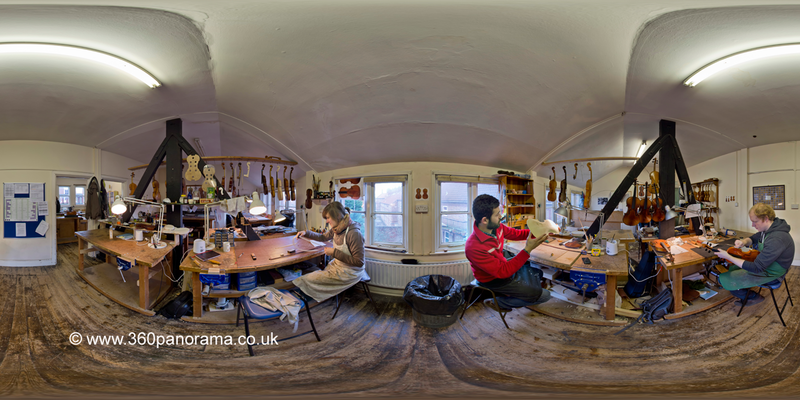 These 360 degree images appeared in the Mail Plus for iPad App recently. Make sure you look carefully around the drying room where instruments are left to hang in ultraviolet light in order to ‘age’ and colour the wood. Although the college is located in the centre of Newark it is actually part of Lincoln College. Over the years the school has developed close links with many professionals and organisations within the industry including the BVMA, Luthiers Sans Frontiers and the Italian violin making centre of Cremona (home to the maker of the famous Stradivarius). Graduates find employment in violin workshops around the world and many have progressed to become leaders in the fields of instrument-making, restoration and dealing in rare instruments.